Today I was having a struggle day, but that’s pretty much every Sunday for me! Usually I’m so used to not having to wear any makeup on a Sunday, doing homework, watching tv, and all of the other boring things we do on Sundays; but today I had a sorority meeting, OH YEAH and I joined a sorority NBD. I had no idea what to do with my face or my hair! At first I decided to put my hair up into a high pony tail, but that did not look that great on me. 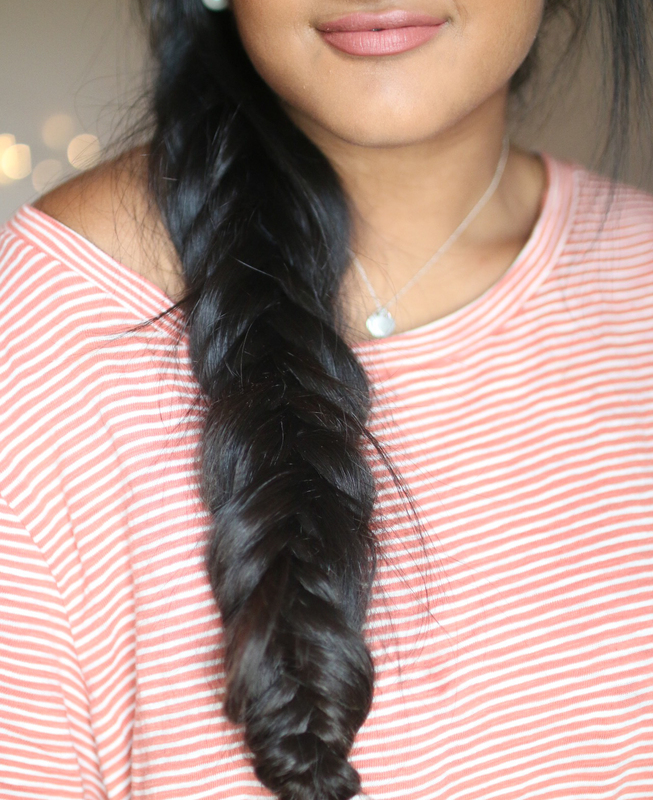 So then I decided to do a braid, but not just any braid; an UNEVEN Fishtail Braid. 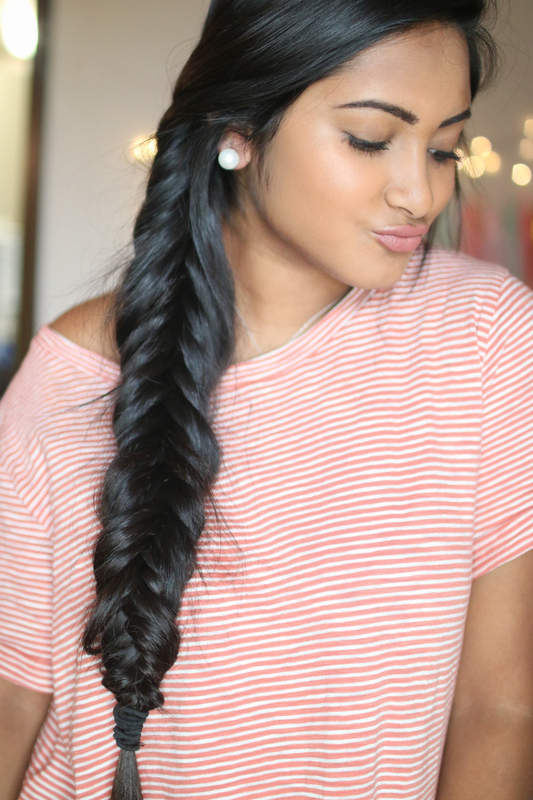 The braid is simple, if you know the basics of a fishtail braid. The only different thing you do is take small pieces and then take random big pieces of hair to each of the other sides. The most important step is to pull apart the braid! This makes it look thicker even if you have thin hair!